The first bimonthly flea market in Coimbatore! 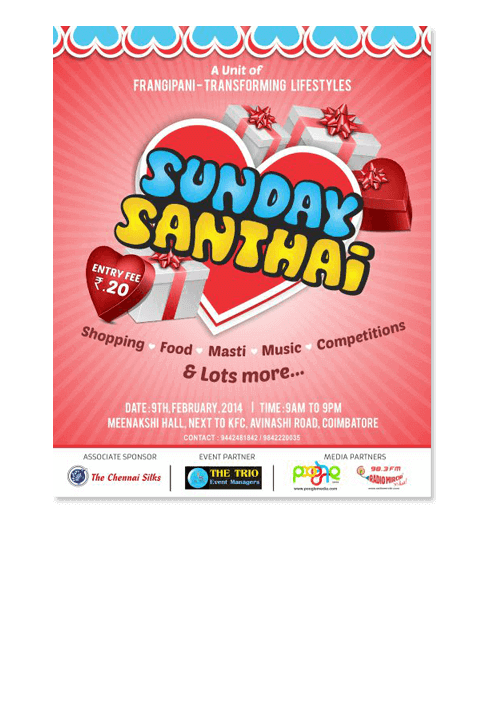 Buy and Sell everything under the sun at Sunday Santhais. Poogle media had exciting opportunity for new this innovative new start up.